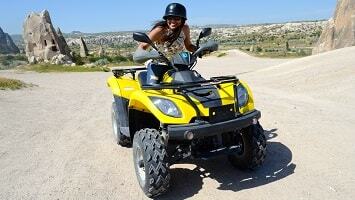 Excursion Mania is offering you the best available tours and excursions in Cappadocia. Working with the best travel agents in town and best possible prices, we are offering you an unforgettable holiday through all year in Cappadocia. 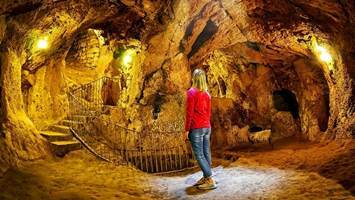 Do you love exploring mysterious caves, historical sites, and hiking in a fairy tale landscape? 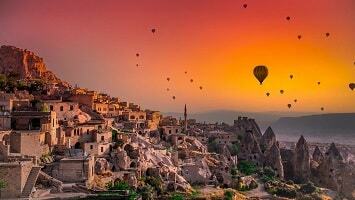 Cappadocia is your next holiday destination! The volcano eruptions together with the erosion of the Kizilirmak River and the wind blowing over this landscape for ten thousand of years, created the famous fairy chimney rocks. Several civilizations have settled here over the years, and their footprints are still visual. The secret cities hidden underground in Cappadocia have been perfectly preserved and are a popular tourist destination. 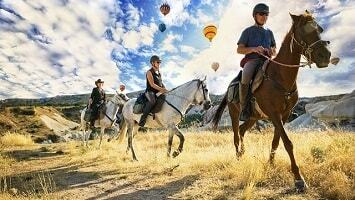 What to do in Cappadocia when you have limited time. Excursion Mania has got the best tours organized for you! When you book a hot air balloon flight with Excursion Mania, the tour includes hotel transfer (both ways), open buffet breakfast, full insurance, hot air balloon flight, an experienced pilot, certificate and a Champagne toast. You will visit beautiful multicoloured canyons and walk into the caves and underground cities with an experienced tour guide. Excursion Mania makes you feel you travel back in time. On this full day excursion, you will go to the ancient underground cities, unique natural landscapes, places that offer panoramic views and a river walk. After this Excursion Mania’s tour you will believe magic exists! After a whole day walking around Cappadocia’s ancient cities, your need for relaxation and calm is achieved in the heat of a Turkish bath. You will enjoy scrub, foam, oil massages and have access to the sauna. On this alternative exciting jeep safari, Excursion Mania will take you to infamous valleys where you can enjoy the panoramic views. Open your eyes to a different world, where you will ride on the back of a horse and discover Cappadocia’s volcanic scenery, rock formations, fairy chimneys and unique landscape. 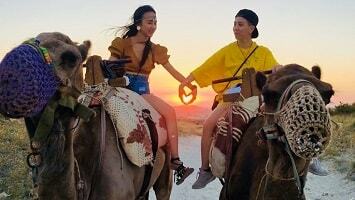 You will explore Cappadocia’s amazing valleys on the back of a camel. 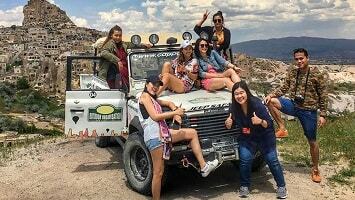 Excursion Mania makes your Cappadocia experience unforgettable. When you book an Excursion Mania Quad Safari, you will drive around on a quad and discover Cappadocia’s surroundings, spectacular rock formations, fairy chimneys cave houses and valleys. 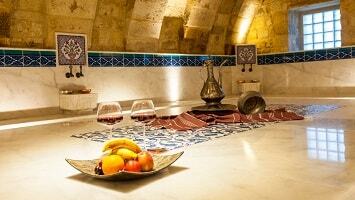 Excursion Mania gives you a taste of the Turkish culture. 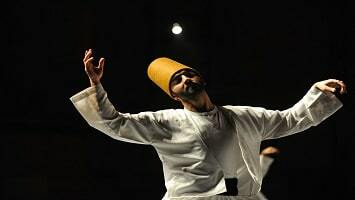 Enjoy your delicious dinner with a live dance and music performance complete with traditional costumes. Which time of the year is best to visit Cappadocia? Every month of the year is a good time to visit Cappadocia. It’s up to you whether you like walking around in winter wonderland covered in snow, join the balloon festivals in spring, or enjoy the sun in summer and autumn. 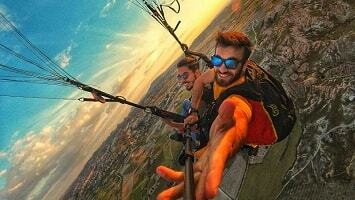 Join our Cappadocia Excursions contest and win a 50% discount on one of Excursion Mania Tours! How many balloons can you catch into one photo?